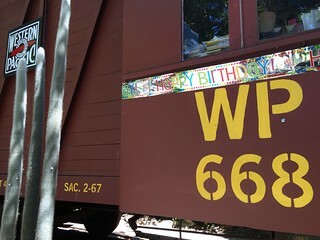 Happy 100th Birthday WP668 Caboose! 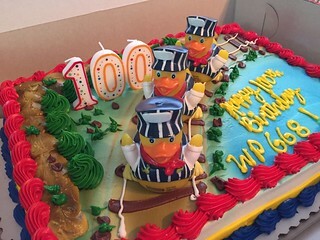 On Saturday, we celebrated the 100th Birthday for WP668, the railway caboose where Mentoring Standard has its office in Willow Glen (San Jose, California). 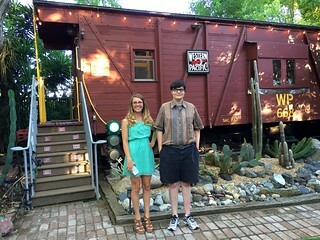 Many friends and family and train enthusiasts joined John and me in cheering on our old train car. 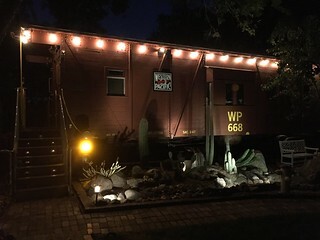 You can read the history of WP668 on her website. 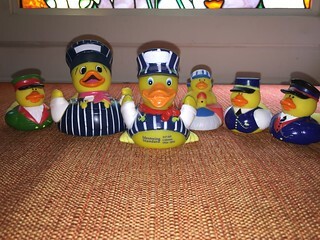 There were balloons and a cake and we distributed WP668 Caboose Con-Duck-tors (a rubber duck toy dressed as a train conductor) as party favors. 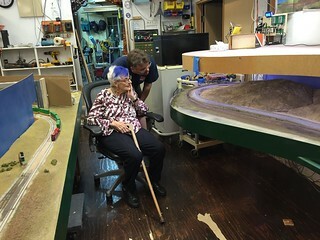 John gave tours of his N-scale model train layout in our former garage. 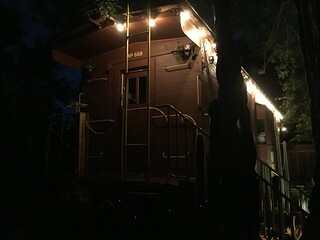 WP668’s birthday present was new night lighting along her roof line. Although the pro-Road-Diet faction is distributing a handout declaring success, the controversy is still very active indeed here in Willow Glen. The San Jose City Council will discuss making the Road Diet (“Lincoln Avenue Pilot Project”) permanent at their 28 June 2016 meeting. Please join me there if you want your voice to be heard on this contentious local issue. 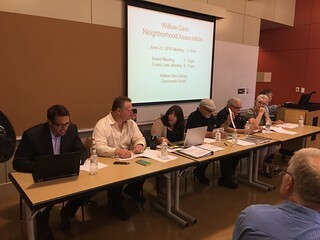 Good news is that the Willow Glen Neighborhood Association (WGNA), one of the loudest advocates in favor the Road Diet – which has not held a WGNA Board meeting in over a year in violation of its own By-Laws and the California Nonprofit Public Benefit Corporation code 600b – has just scheduled a meeting for tomorrow night (23 June 2016: 7:00p.m. 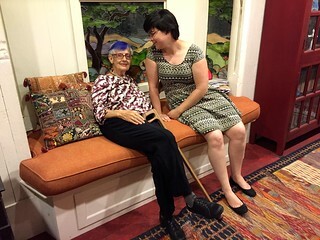 – 9:00p.m., at the Willow Glen Public Library Community Room, 1157 Minnesota Avenue, San Jose). 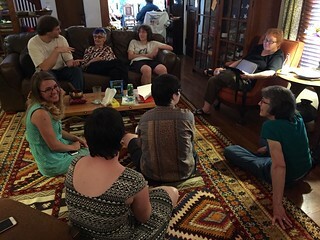 This is the first community meeting on the topic since 18 June 2015. 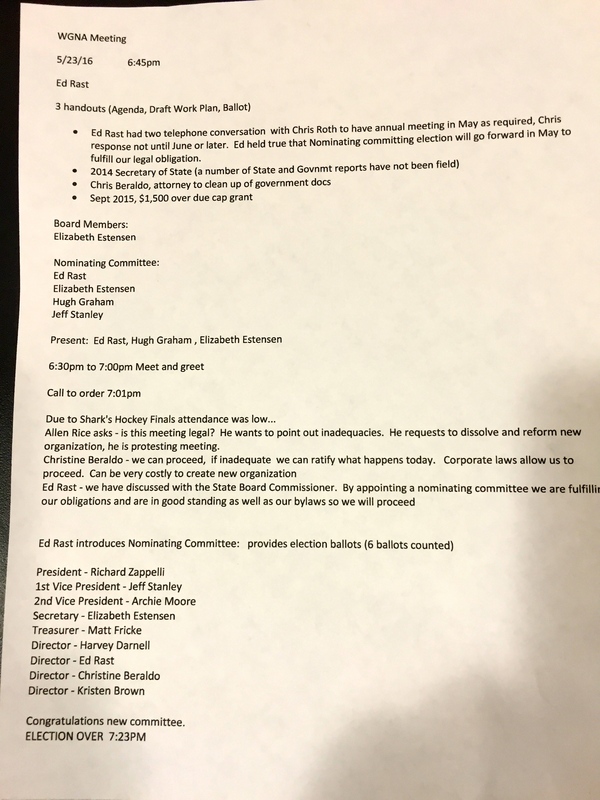 Note after publication: The WGNA changed their 23 June agenda to take off discussion of the Road Diet. Of these five, parking is the biggest concern to local businesses (and the problem least addressed) in the current Road Diet improvements. 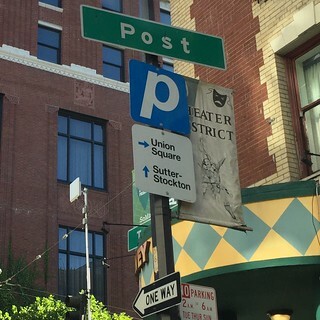 I was in San Francisco yesterday for a business meeting and noticed not only how many public parking garages there are (in addition to many private garages and lots) but how excellent the signage is to those parking garages (see photos). On Lincoln Avenue, we have one public parking lot with minimal signage (behind the Bank of America building on Lincolnshire Way). Several of the business owners I interviewed said that their customers did not know about this one parking lot. 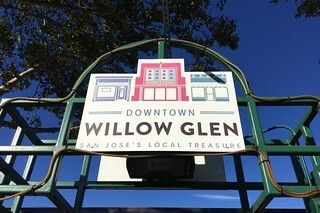 Willow Glen’s central business area on Lincoln Avenue is 0.7 miles long (from Minnesota to Willow) with one public lot. University Avenue in Palo Alto, where the central business area is 0.8 miles long (from Middlefield to Alma), has at least seven public parking lots and multi-storey garages. Downtown Campbell lists ten parking garages and lots for their downtown. Murphy Avenue in Sunnyvale is surrounded by large parking lots – including the lots for Macy’s and CalTrain. If there were at least two multi-storey parking garages on Lincoln Avenue, it would change the dynamics of traffic significantly for the better and would eliminate many of the problems of the Road Diet. Additional public parking would make it easier for Lincoln Avenue lunch customers t0 get in and out – helping to reverse the current drastic reduction in lunch traffic described by so many business owners. More parking would reduce traffic by the number of cars circling to find parking, and would help to keep Lincoln Avenue customers from parking on neighborhood side streets. Getting cars off the street would also make more space for trucks to park for deliveries. Public parking structures would also include more Disabled Parking Zones. As you can see from my diagram, there are few Blue parking spaces on Lincoln Avenue now – and none from Lincolnshire to Willow. 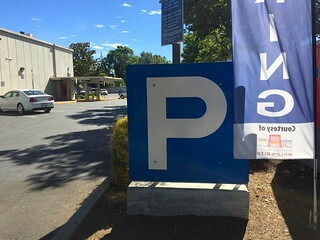 There are Blue parking spaces in private parking lots – all clearly marked with signs saying some variation of “Customer Use Only” (some of the lots have private guards to keep out non-customers). 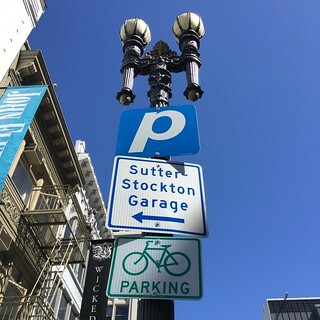 Add more and better signage to parking. 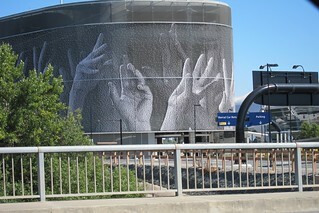 Multi-storey garages need not be ugly: the structure at San Jose Airport decorated with artful hands is a good example of civic art combined with parking. Starting around March 2015, the Road Diet on Lincoln Avenue in Willow Glen changed a busy four-lane road with no bike lanes into a two-lane road with two bike lanes plus a turning lane in the middle. 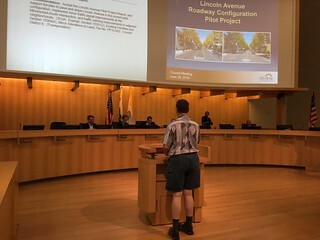 The San Jose City Council will discuss making this very controversial Road Diet (“Lincoln Avenue Pilot Project”) permanent at their 28 June 2016 meeting. Please join me there if you want your voice to be heard. This is part of a series in which I use my professional experience in data collection and analysis to clarify our local discussion. See my 17 June 2016 post for the 3 official San Jose Department of Transportation (“SJ-DOT”) project goals, plus the 5 problem categories I have identified through discussion and interviews. In my opinion, the Road Diet has generally failed to meet its goals, particularly because SJ-DOT reported that there were 22 crashes during the last year, compared to 8 the year before. 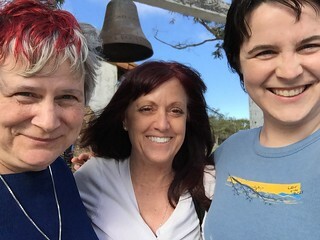 Note: Bret Levine is a PhD student in Evaluation and Applied Research Methodology at Claremont Graduate University. Since its inception, the Lincoln Avenue Road Diet has polarized support in both directions. Though perhaps you’ve heard reasons for or against the Road Diet, I’d like to present my evaluation of the Road Diet through the lens of applied research. This began with my inquiry into the methods, measures, data analyses, and data collection processes that I noticed with the Road Diet since 2015. The Road Diet is a “trial” was described as an “experiment”. Therefore if we begin to treat the Road Diet as an experiment, we should hold its merits to similar guidelines in which we hold other experiments. Surely for the Lincoln Avenue Road Diet, a change in commerce that impacts such a wide array of people, we should hold the Road Diet to the strictest standards possible. For guidelines on conducting ethical research many scientists and researchers nationwide will refer to the US National Institutes of Health (“NIH”), the primary agency of the United States government responsible for biomedical and health-related research. On the NIH website you can find a list of “Ethics in Clinical Research”, which is a set of ethical guidelines for conducting research that involves participants. Again, the Road Diet Trial is by no means a traditional “experiment”, however, this should not deter the use of ethical standards in experimentation given that real people (participants) are affect by the treatment (Road Diet). Additionally, the NIH guidelines are flexible enough to be used as guidance for applied research as well. 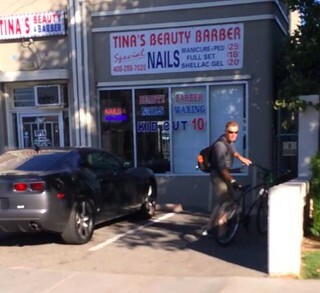 Social and Clinical value – The word “impact” is fitting for the road diet, given that commuters, cyclists, pedestrians, businesses, and Willow Glen residents are all affected by the change in the public space. In terms of research, the impact of the Road Diet might encompass many research questions, such as the five following. These are only a handful of questions that would need to be asked before an experiment is put into action. Each of these questions can then be operationalized for data collection so that there is actual information that can represent the answers to these questions. Few of these questions were answered from any of the methods chosen to analyze the results of the Road Diet. How does the Road Diet impact traffic in surrounding neighborhoods? How is safety on Lincoln Avenue affected by the Road Diet? What is the level of satisfaction for commuters, cyclists, and pedestrians? Are businesses better off as a result of the Road Diet? Are residence satisfied with the Road Diet? Fair subject selection – Those most effected by the Road Diet were not fully taken into consideration. Most importantly (as outlined later) was the safety of pedestrians, bicyclists, and motorists which was not measured correctly. Favorable risk-benefit ratio – Neither the risks nor benefits of the Road Diet were presented with any factual substance during the formation or execution. Respect for potential and enrolled subjects – As quoted from the ethical guidelines: “For research to be ethical, most agree that individuals should make their own decision about whether they want to participate or continue participating in research.” This would directly contradict with the Willow Glen Business Association (“WGBA”) 10-4 vote against the Road Diet (“Willow Glen business group says it’s time to end the Lincoln Avenue road diet” June 2015 Mercury News article by Leeta-Rose Ballester), which was agreed upon to be upheld by Hans Larsen of the SJ-DOT via his presentation before the Road Diet would be put in place (“Lincoln Avenue Road Diet Trial” 15 February 2015). The WGNA survey on the Lincoln Avenue Road Diet allowed for multiple entries from the same person(s). The bottom of the results page noted the removal of same-IP-address without significant changes to the results of the survey, however one can change their IP address simply by filling out the survey with their phone or computer on an alternate router or internet provided. Also, the same person can take the survey from alternate devices other than their own. 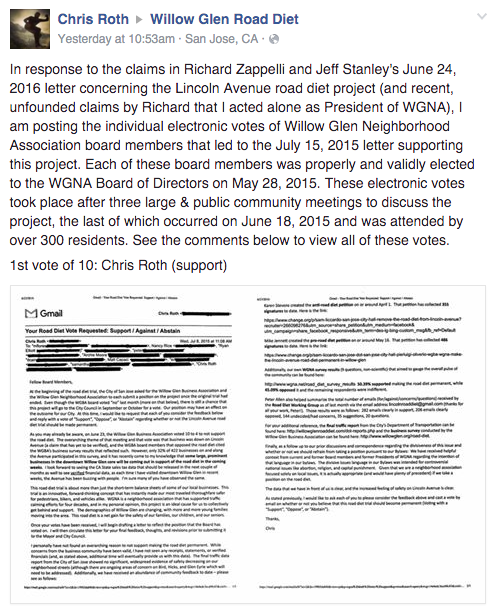 The Willow Glen Neighborhood Association (“WGNA”) so-called survey is not survey – it’s a bias measure of popular opinion, conjured from repeated button pressing. The fact that redundant IP addresses were controlled for doesn’t mean anything. You can change your IP address by joining another network. 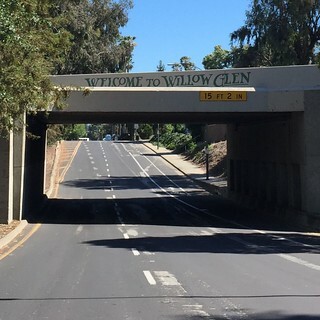 The Department of Transportation (SJ-DOT) Data Collection Report (1 June 2015), provided conflicting results from the Willow Glen Business Association (“WGBA”) Road Diet Survey conducted by business owners, managers, and property owners. 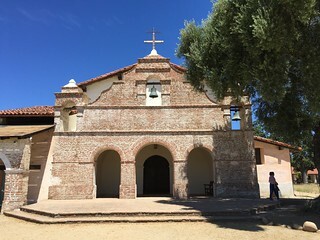 Both sets of results can be found here. 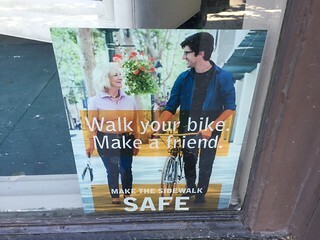 The SJ-DOT survey described “notable pedestrian volume increases” (anecdotally – no numbers) while 130 business owners, managers, and property owners on the WGBA survey noted a negative change in the number of people coming into their business (m =2.33, n = 130). Other variables that may have explained the notable increase in pedestrian presence “after” the road diet were not accounted for – in particular time of the year was one such variable. The “before” Road Diet pedestrian volume was measured in February 2015 while the “after” Road Diet observation was made in April 2015. 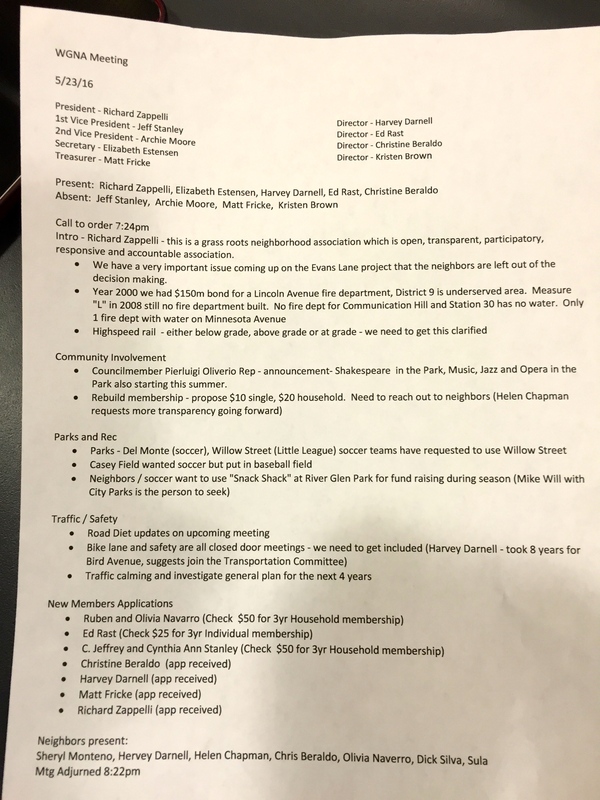 Obviously, these are times during the year that we may expect to see changes in pedestrian volume on Lincoln Avenue – either as a symptom of weather or merely change in season fromWinter to Spring. Additionally, the SJ-DOT final report failed to provide collision data during the trial while the owners, managers, and property owners felt that the Road Diet was between “no change” and “a little less safe” (m = 2.69, n = 130) for drivers. Not only did the SJ-DOT report not include collision data, but emergency vehicle access as well as changes for vehicles and access for the handicapped were not included. Most shocking is that the main focus of the Road Diet was safety, yet those whose safety is most impacted by the Road Diet were not measured at all: customers, commuters, cyclists, pedestrians, and employees. In addition to conflicting with the SJ-DOT final report, the WGBA survey provided additional results on the impact of business on Lincoln Avenue. In addition to reduction to people entering their business, owners and managers noted negative changes in satisfaction level of their customers (m = 2.24, n = 128) as well as negative changes in their bottom lines i.e. sales and revenue (m = 2.36, n = 128) as a result of the Road Diet. 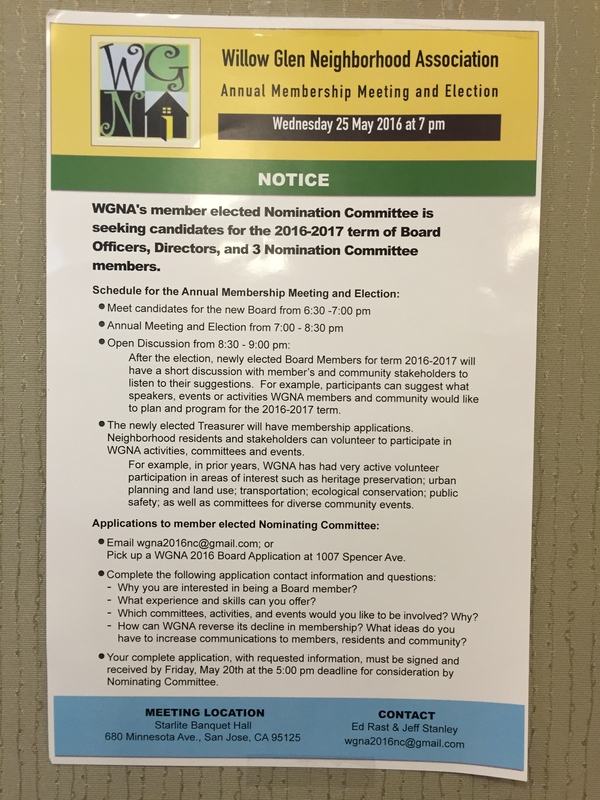 Sections of the results presentation from the WGBA survey were not accurately presented. Arguably, pie charts do not take into account the embodiment of those that have responded to survey results and can arguably be misleading. For example, the pie charts included in the WGBA survey results grouped together positive and negative responses into 2 bulk categories. This does not take into account the sensitivity built into the survey that should be used to psychometrically represent the differences in opinion. Accompanied with averages (means) that I’ve provided at times in this post, help to capture an overall representation of the entire sample. At first blush, safety appears to have improved as a result of the Road Diet according to the pie charts in the WGBA survey (p. 4). Upon closer examination owners, managers, and property owners felt that Lincoln Avenue was between “a little safer” and “no change” for Pedestrians (m = 3.42, n = 131) and “a little safer” for cyclists (m = 3.62, n =131). 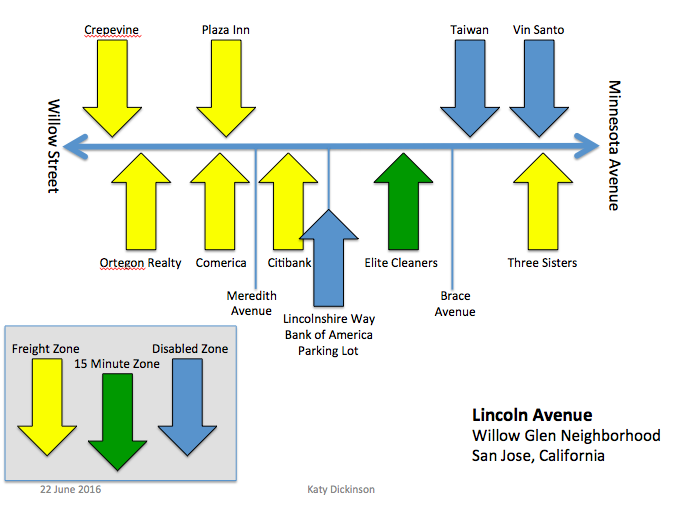 These opinions are not represented in the analyses (“Willow Glen Business Association Survey of Members Regarding Road Diet Trial” 14 June 2015). 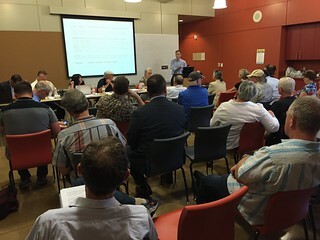 If the central research question is along the lines of, “How does the Road Diet impact residents, businesses, and commerce on Lincoln Avenue” the methods chosen to answer this question are vastly inaccurate. There are additional measures (focus groups, interviews, observations, archival data etc.) that could have been utilized to help answer questions, notwithstanding creating accurate surveys to capture sampled opinions. Additionally there could have been much more research – including actual data – on similar cases where Road Diets were put into place. Questions that affect such a depth and breadth of people and resources should not be answered by shoddy measures and unscientific research. Cultural changes such as increasing cycling or walking amongst a community or city require a great deal of research and time before changes should be made. 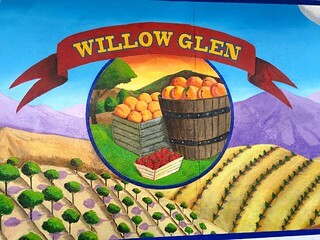 The people of Willow Glen are owed due scientific process and inquiry before such hasty decisions negatively affect their lives. 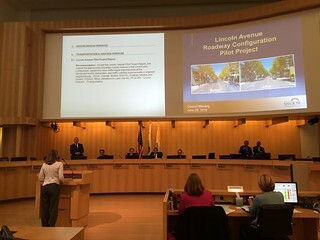 An external report by the Stanford Public Policy Program (“Analysis and Recommendations for Lincoln Ave Road Diet” 12 June 2015, by: Dev Davis, Misa Fujisaki, Miho Tanaka, Lucy Xiao) concluded similar results to my analysis: clarify the goals of the Road Diet, ensure that businesses are not harmed, survey residence, and gather more data on pedestrians and cyclists. The motto of both of our analyses is that more information is needed. However, in regards to this letter, more information comes with a caveat. 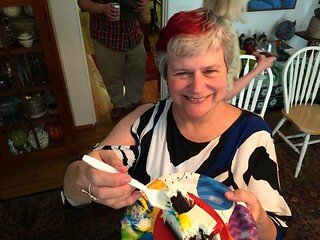 Given the feedback from the strongest measures available (WGBA survey), conflict with previous methods (DOT vs. WGBA survey), and new light from NIH guidelines – ethically speaking on behalf of those impacted by the Road Diet – the Road Diet cannot continue until more information in collected and analyzed. The potentially detrimental effects (public safety and the harm on small businesses) on participants of the Road Diet should outweigh the potentially beneficial effects. 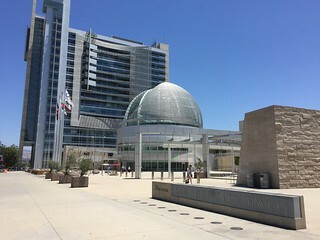 As agreed upon with Hans Larsen from the SJ-DOT, on 23 June 2015, the WGBA voted to end the Road Diet (this vote is recorded in a letter “Attachment I” of the SJ-DOT 6 June 2016 report to the San Jose Mayor and City Council), yet the Road Diet has been in place for almost 1 year since the “no” vote. The current existence of the Road Diet is in violation with the original agreement and could be in violation of the ethical guidelines for participants. There is enough data now to analyze the effects that the Road Diet has had on those that have been impacted, whilst curbing any detrimental effects that have already been caused. 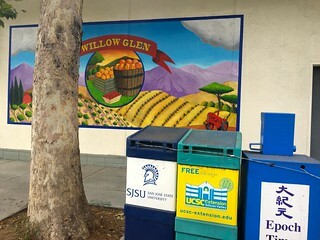 The Road Diet was rushed into place without the forethought of research, the opinion of local leaders, the opinion of the Willow Glen residents, nor the opinions of local organizations and businesses. The safety and prosperity of the people of San Jose should be of the upmost importance whenever impactful changes are put in place. 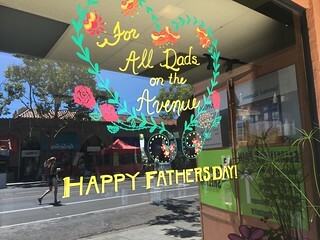 Except as indicated, those quoted are either business owners or managers on Lincoln Avenue in Willow Glen, between Minnesota and Willow. My 17 June 2016 post includes 10 business quotes. Some people I interviewed wanted their opinions to be quoted using their names and others wanted to be anonymous. Several who asked to be anonymous said that Road Diet discussions had become so heated that they feared retribution or loss of customers. I have respected each interviewee’s preferences below. This is part of my continuing series on Willow Glen‘s Lincoln Avenue Roadway Configuration Pilot Project (“Road Diet“). These are observations from a detailed review of the San Jose Department of Transportation (“SJ-DOT”) publications on the Road Diet, looking at reports from the SJ-DOT from 2015 and 2016. Thanks to John Plocher who assisted me with this review. Please send comments, error corrections, or additions – they are welcome! The San Jose City Council will discuss making the Road Diet (“Lincoln Avenue Pilot Project”) permanent at their 28 June 2016 meeting. Please join me there if you want your voice to be heard on this contentious local issue. Observations are listed roughly in the order that the information appears in the report. The Road Diet map of the SJ-DOT above shows the Project Area under consideration. A key finding from the 2016 SJ-DOT report is on p.4: “Based on the one year of ‘after’ collision data, it is inconclusive whether the modified lane configuration has had a measurable long-term impact on traffic safety… the total number of crashes was higher than the year prior to the pilot project.” That is, there were 22 crashes during the last year, compared to 8 the year before. My observations are limited to data inside the Project Area and Transition Zones which together are 1.1 miles long (Lincoln Avenue from Nevada Avenue to Lonus Street). 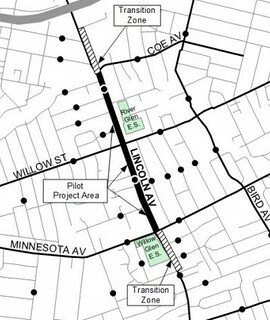 The Project Area without the Transition Zones is just 0.7 miles (Lincoln Avenue from Minnesota Avenue to Coe Avenue). There were SJ-DOT sensors (or “automatic recorders”) in a variety of locations inside and outside of the Project Area during the time of measurement. Only two of SJ-DOT sensors were actually in the Project Area or Transition Zones: one South of Meredith Avenue on Lincoln Avenue, and the other South of Glen Eyrie Avenue on Lincoln Avenue. 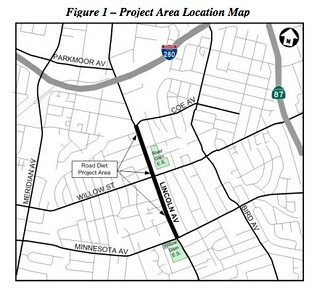 The SJ-DOT reports are full of detailed and confusing information from outside of the Project Area (measured because the SJ-DOT is responsible for more than just the Road Diet). On p.6 under “1B Neighborhood Street Traffic Volume and Speed Findings”, the report says most streets were unchanged but two were worse (two passed the threshold into “adverse”). On pp.6-7 under “1c. Major Street Traffic Volume and Speed Findings”, both Pine and Minnesota showed a strong increase in speeders. That is, areas outside of the Road Diet area are less safe because of the Road Diet. On p.7 of the 2016 report, Travel Times are given for “the Lincoln Avenue Corridor” which is 2.64 miles long. By more than doubling the area measured (from 1.1 miles to 2.64 miles), significant variations in the Non-Road-Diet sections distort the data and conclusions. There are only two indications of cost in the SJ-DOT report, both in the “Policy Alternatives” section on p.14. One says that not modifying a traffic signal will save $65,000 and the other says that removing modifications to that signal will cost $15,000. There is no indication how much has been spent on the Road Diet so far, including the long list of additional improvements already implemented (listed on p.10). There is also no indication of what it would cost to remove the Road Diet or make it permanent. 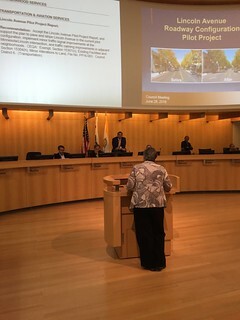 The San Jose City Budget Message dated 30 May 2014 includes the following: “Pedestrian Safety …The City Manager is directed to allocate $45,000 in one-time Construction Excise Tax funding for this type of minor pedestrian safety improvement on Lincoln Avenue.” This is the only funding reference we have identified so far for the Road Diet. On p.17, “Calmer Traffic Environment” says that “motor vehicle speeds decreased on Lincoln Avenue”. Looking at “Attachment B – Lincoln Avenue Volume & Speed Summary”, the average change in the Project Area was 7% decrease in volume, and the average percent of speeders in the Project Area went down 6.3%. The SJ-DOT data analysis does not define a margin of error, making it hard to understand if any of SJ-DOT’s reported measures are statistically significant. Variations seen in SJ-DOT report tables for areas outside of the Road Diet are often much larger than variations inside of the Road Diet area. Example of variation outside of the Project Area: “Attachment E – Lincoln Avenue Travel Time” shows a -30% to +82% change to areas outside of the Road Diet. Example where margin of error matters: “Attachment B – Lincoln Avenue Volume & Speed Summary” show that volume and speed measures are down on average 4% in 2016. This measure may very well be so small as to be within the statistical margin of error. “Attachment F – Lincoln Avenue Intersection Level of Service Summary” shows that the LOS (Level of Service) is unchanged for the Lincoln/Minnesota and Lincoln/Willow intersections. Both of these intersections are still “D” on a scale of A to F, where: A is less than ten seconds, and F is more than 80 seconds delay to get through an intersection.